January 15, 2015, MCLEAN, VA — Corcentric, a leading provider of cloud-based technology and financial process automation solutions, today announced they have signed a partnership with Trailways Transportation System, Inc., to create a private group purchasing program, utilizing Corcentric’s CorConnect technology, that allows Trailways members to purchase products and services from more than fifty National Accounts programs through the AmeriQuest Business Services procurement program. 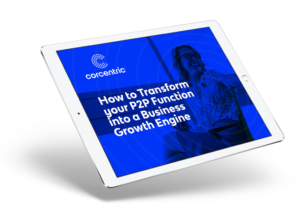 Corcentric will handle all transactions through CorConnect, a centralized billing portal that includes e-invoicing, reporting, and line item analytics. This will give members visibility across multiple locations to verify contract pricing. As transactions flow through the Corcentric portal, Trailways members will only need to write one check for all purchases made within a set time. The Trailways Transportation System (Trailways), founded in 1936, is comprised of 74 independently owned/operated motorcoach companies in North America and Europe. Each company adheres to the highest safety standards as required by the United States Department of Defense (USDOD) or its country’s equivalent. For more information, contact Trailways Corporate Office 703-691-3052 or email: Bustrails@trailways.com; or visit: www.trailways.com.